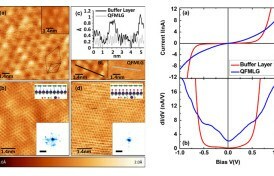 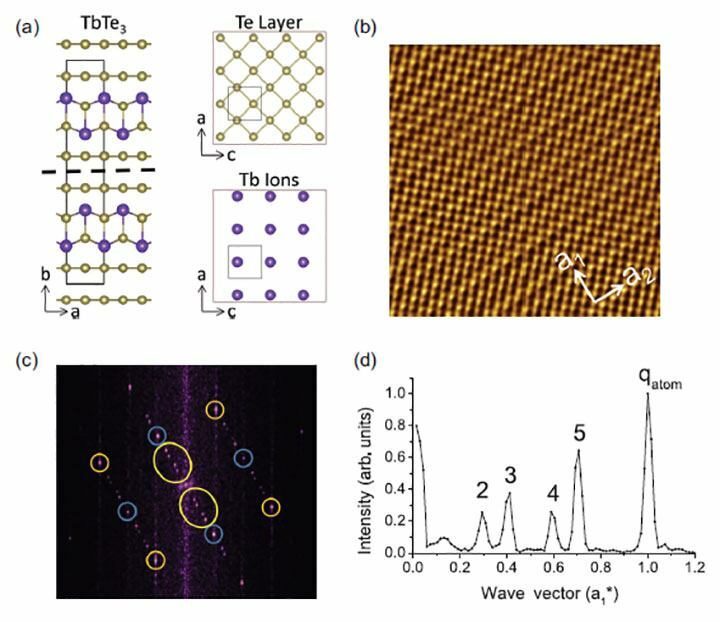 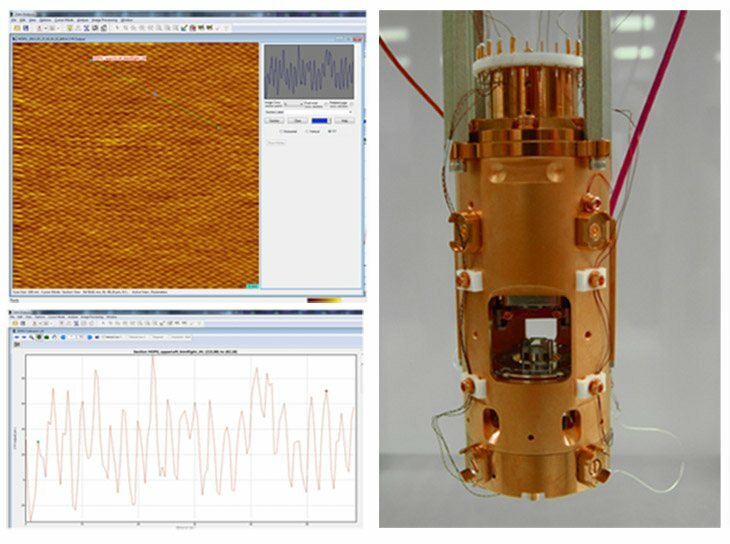 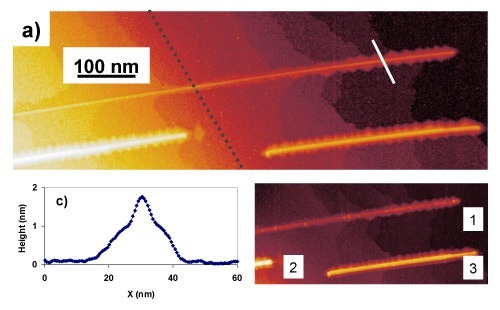 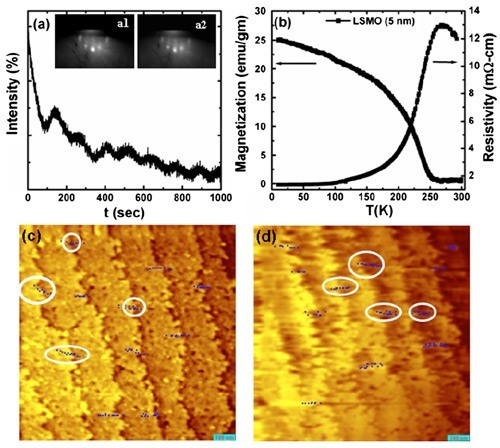 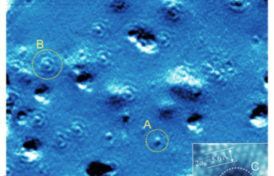 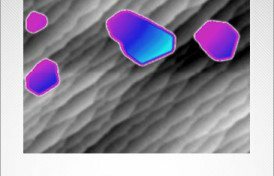 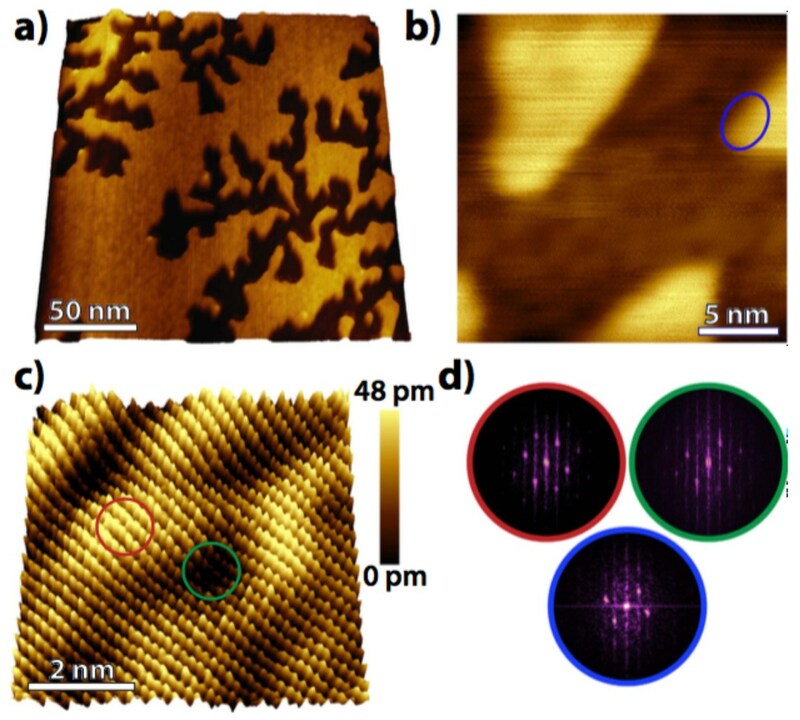 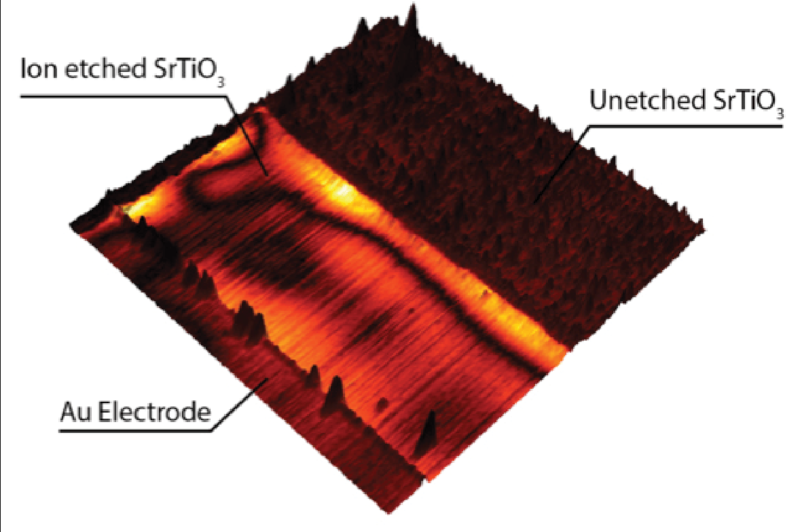 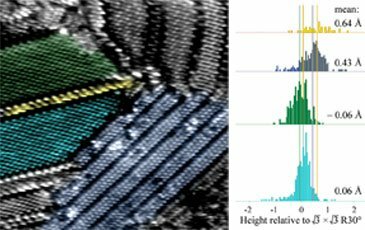 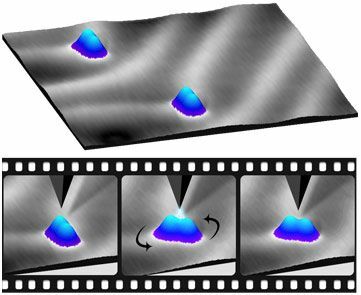 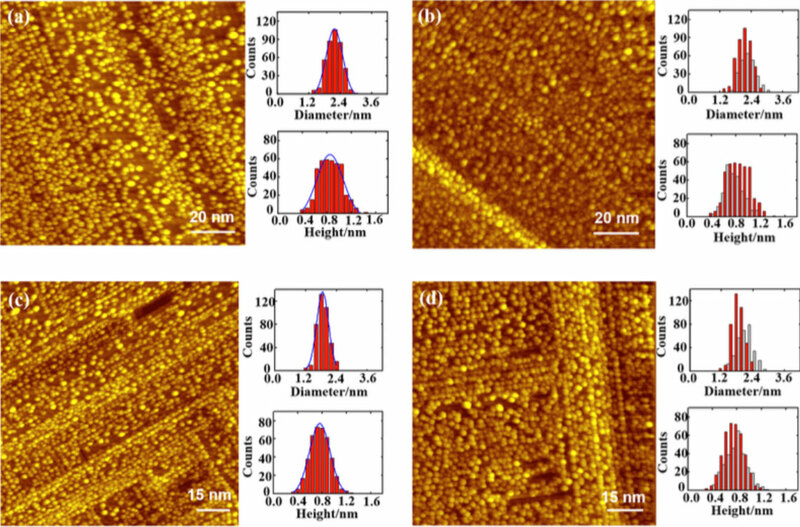 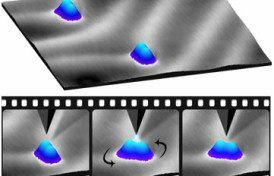 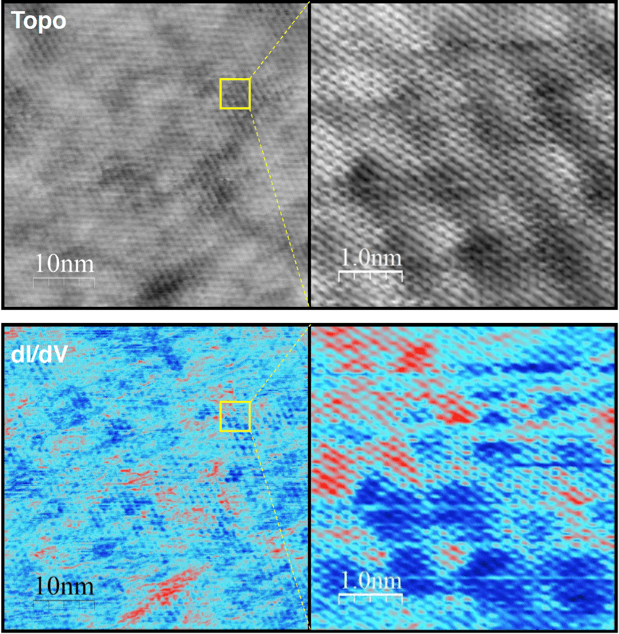 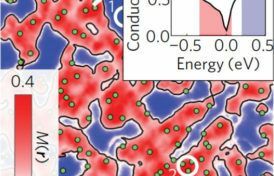 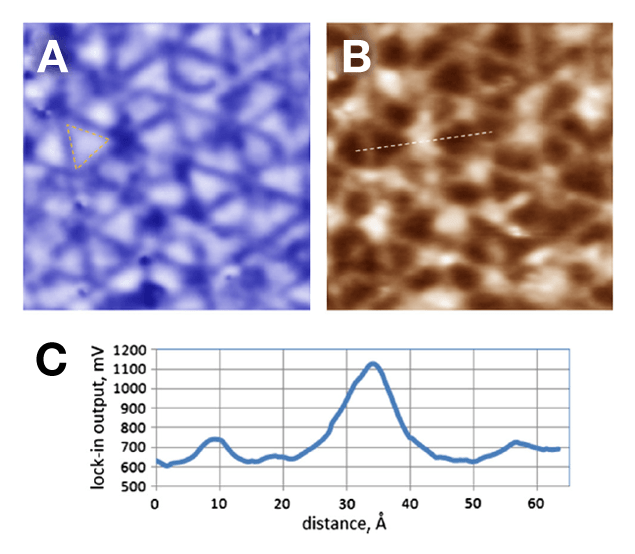 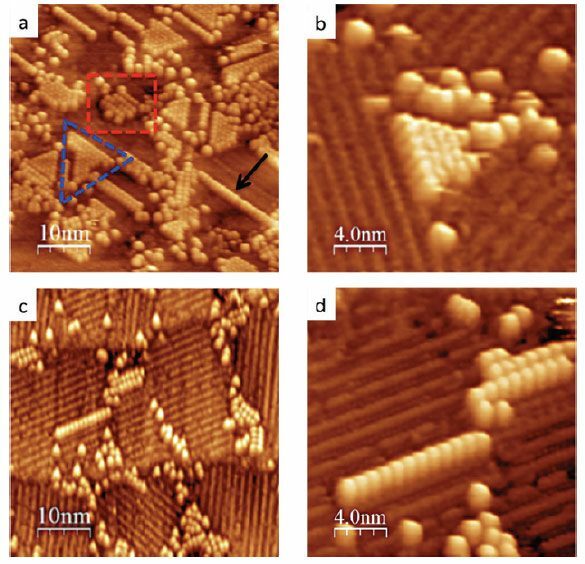 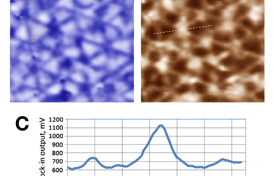 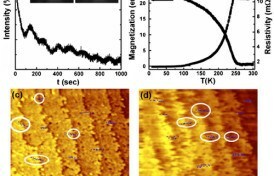 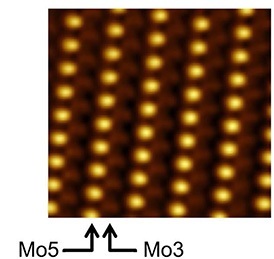 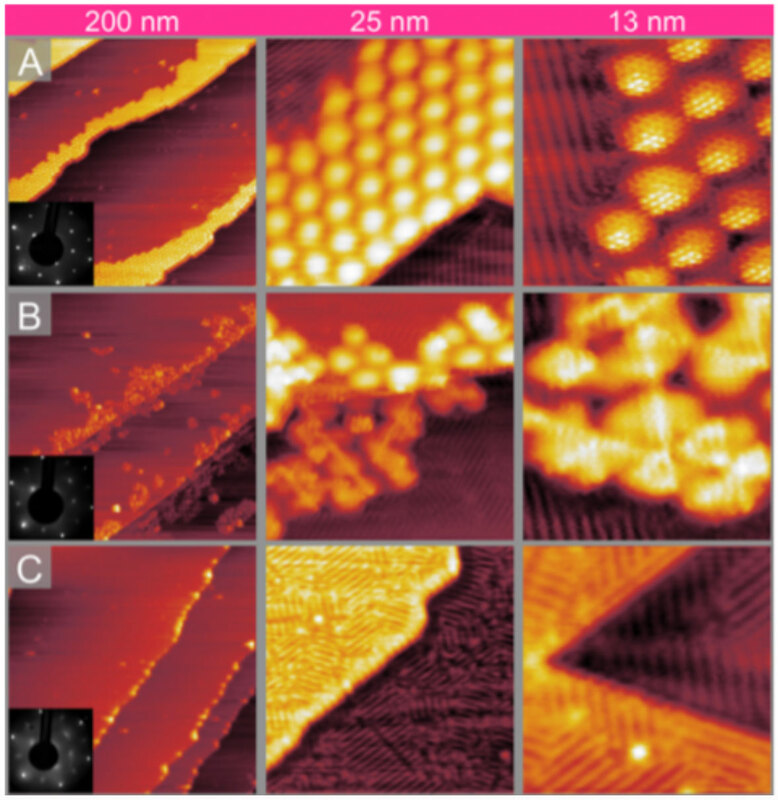 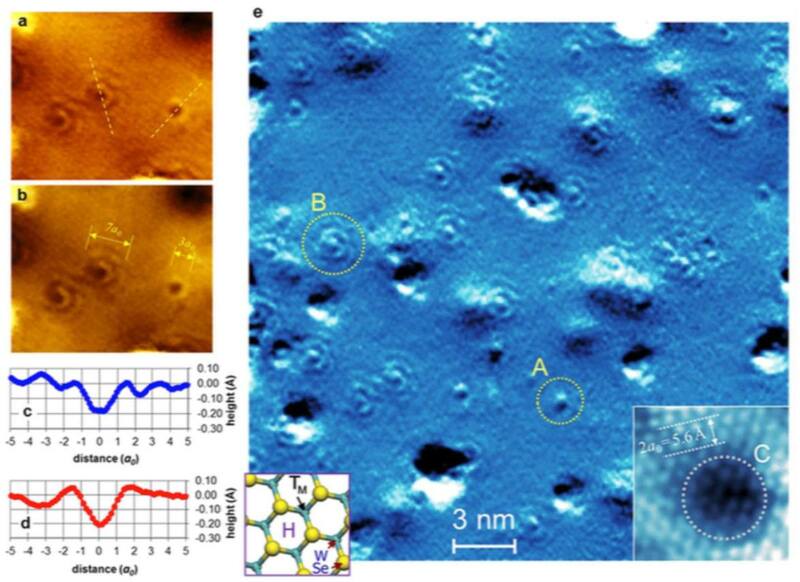 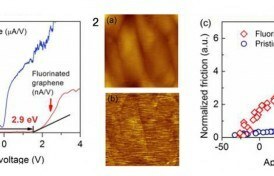 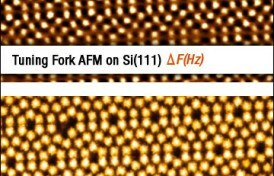 The site-specific locations of molecular oxygen reactivity on Si(111)-(7 Å~ 7) surfaces were examined using kinetic energy selected supersonic molecular beams in conjunction with in situ scanning tunneling microscopy. 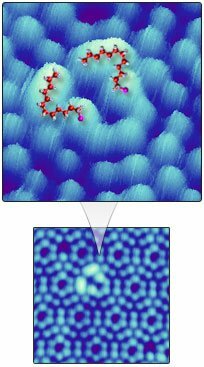 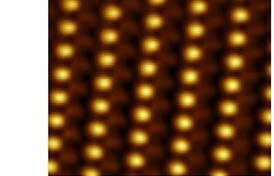 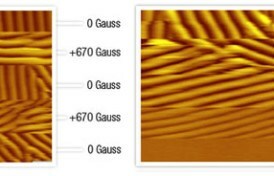 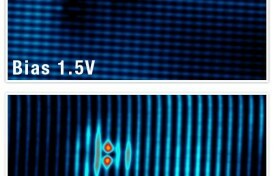 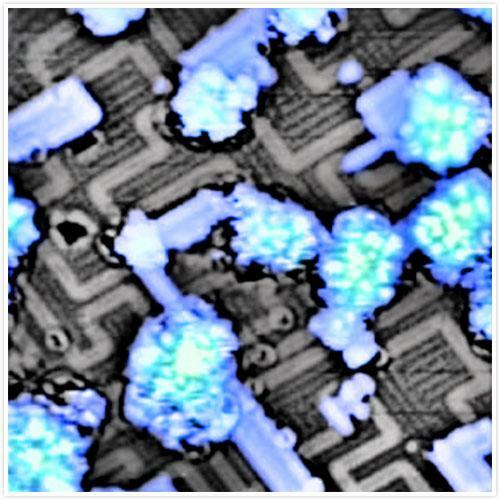 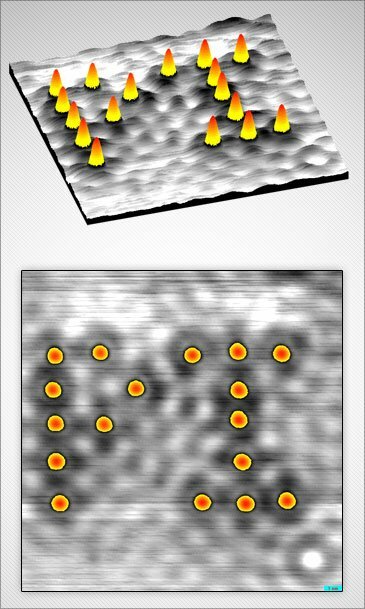 We herein present a detailed visualization of the surface as it reacts in real-time and real-space when exposed to molecular oxygen with translational energy Ei = 0.37 eV. 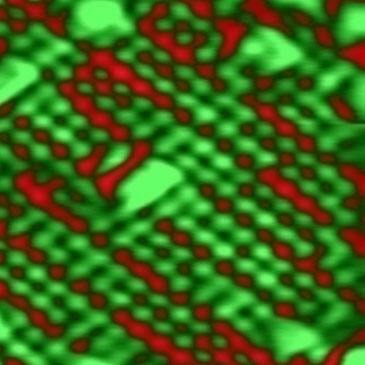 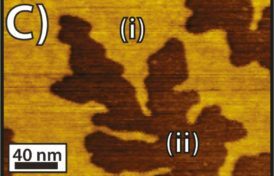 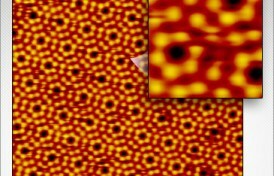 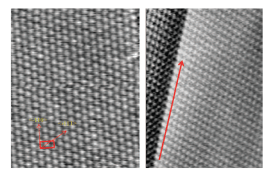 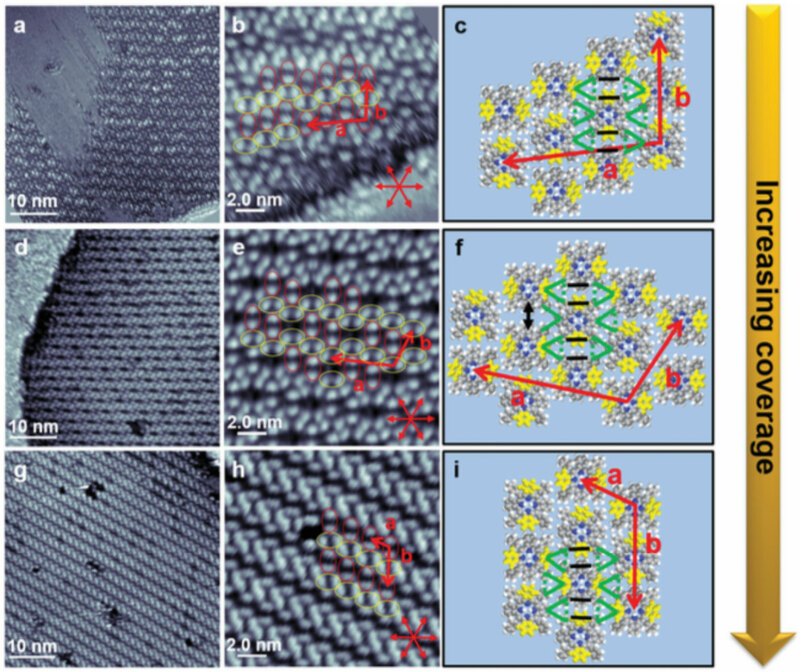 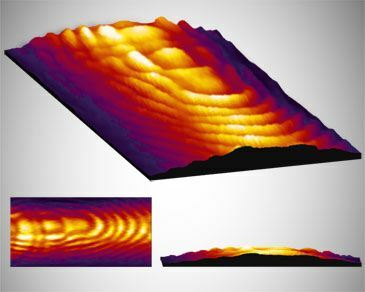 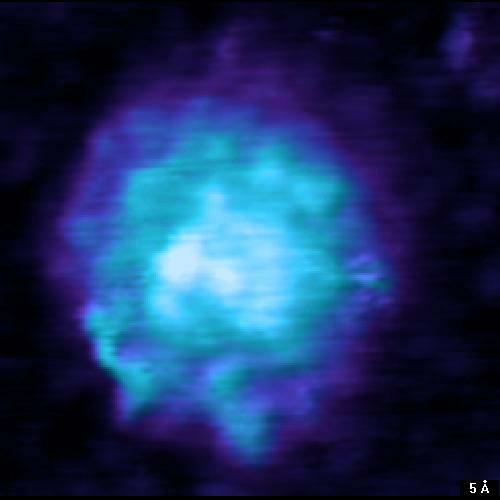 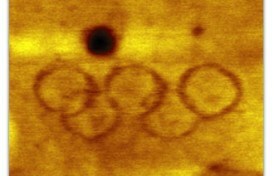 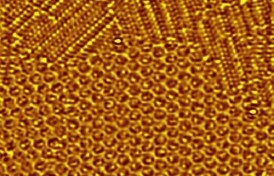 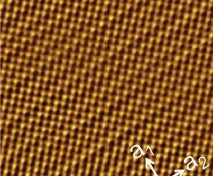 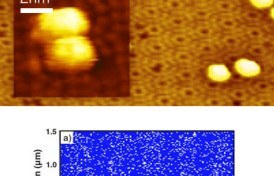 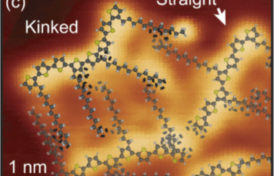 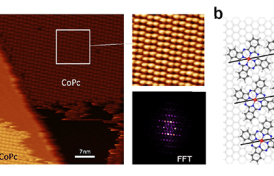 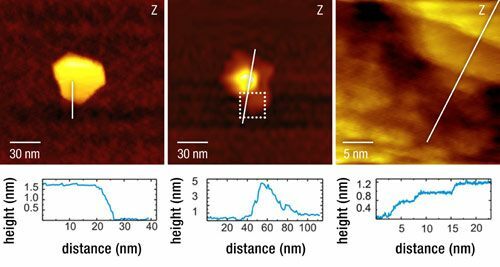 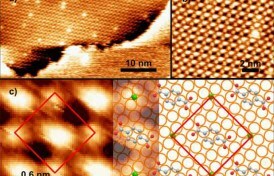 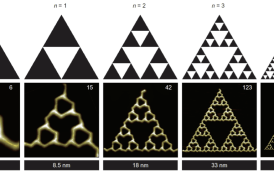 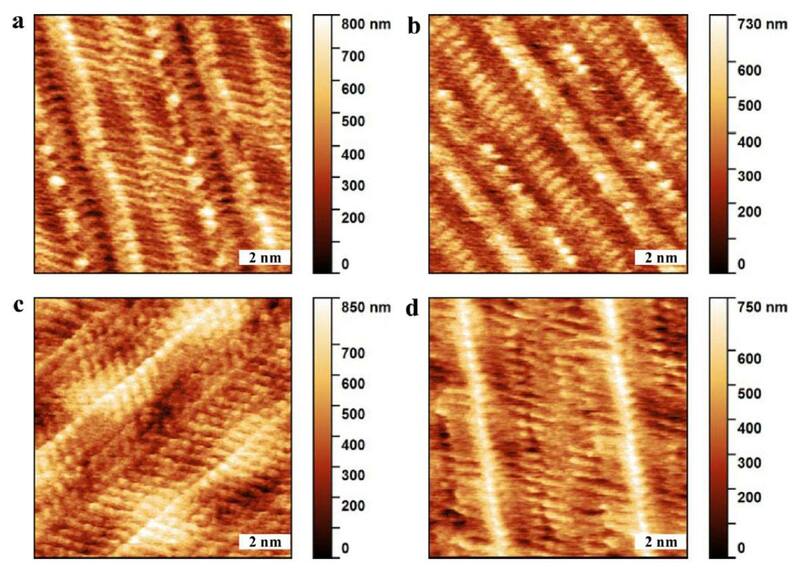 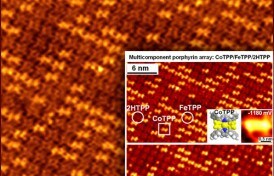 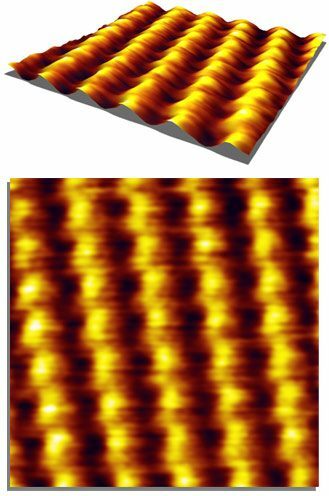 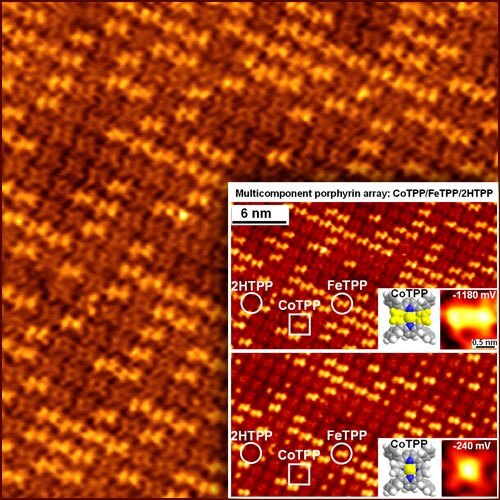 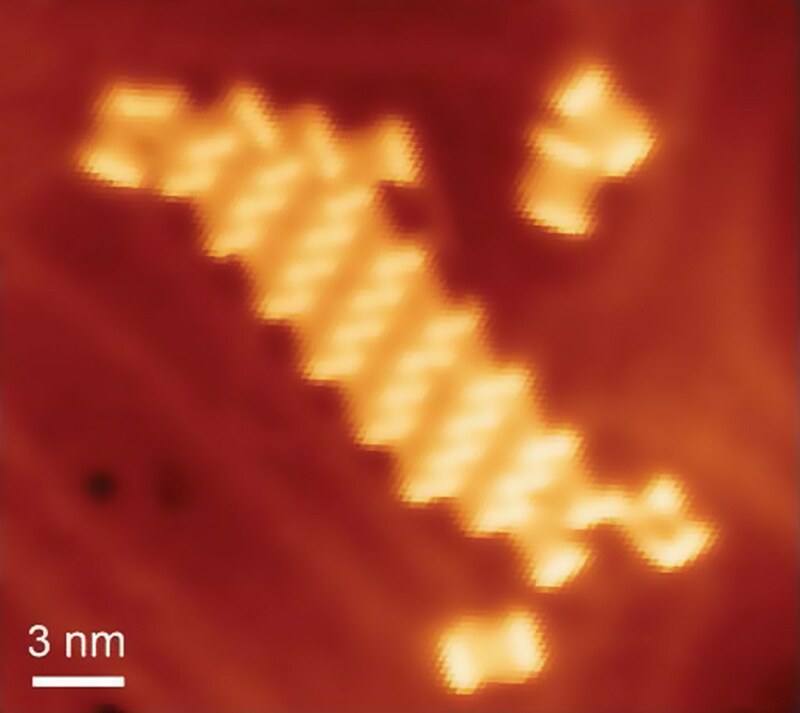 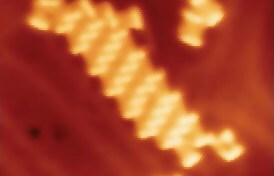 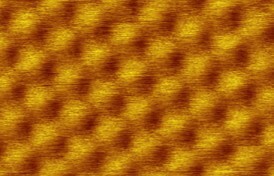 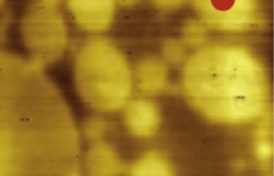 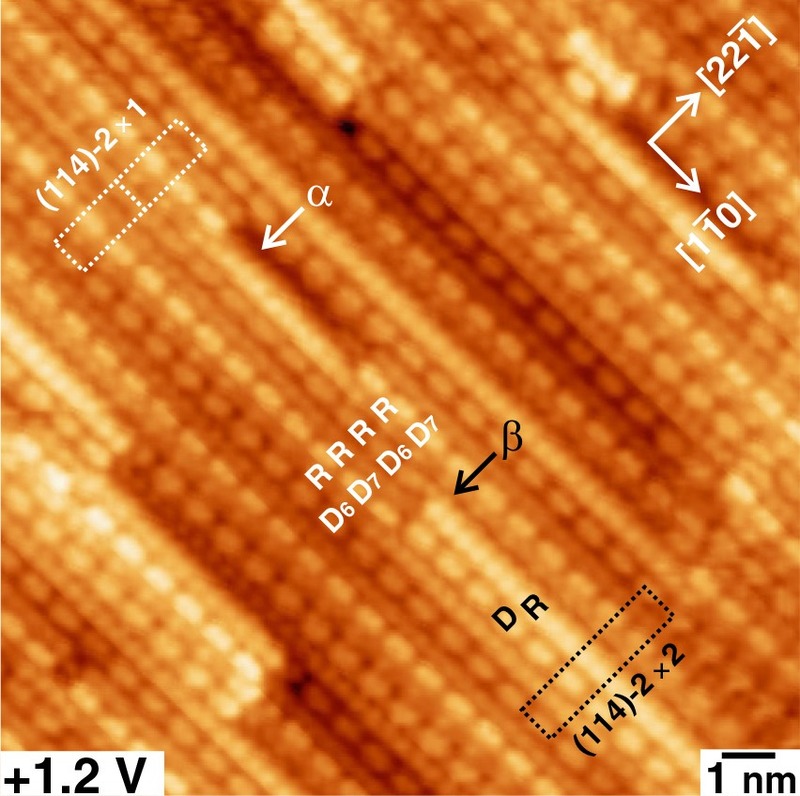 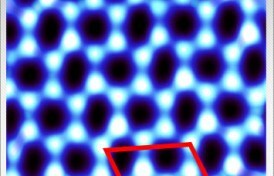 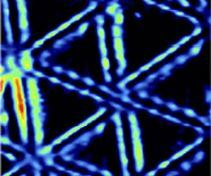 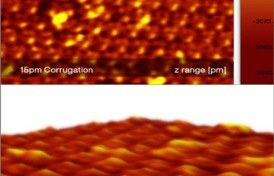 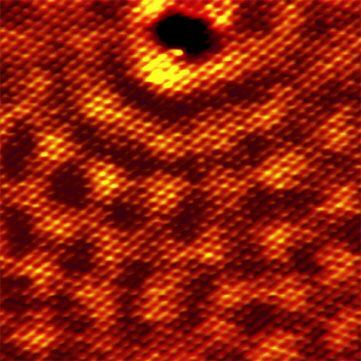 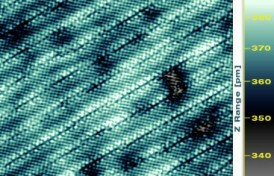 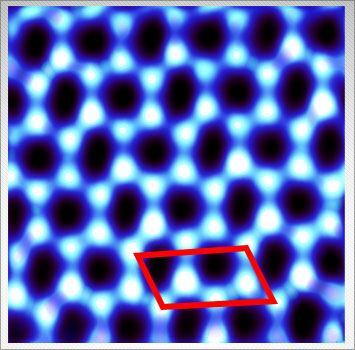 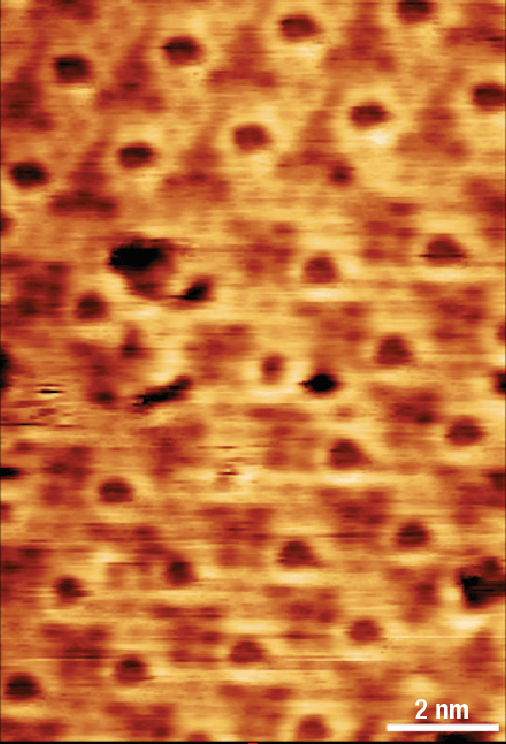 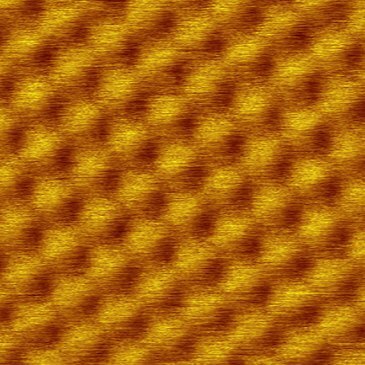 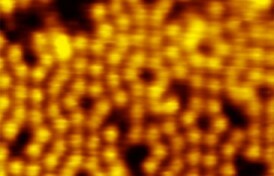 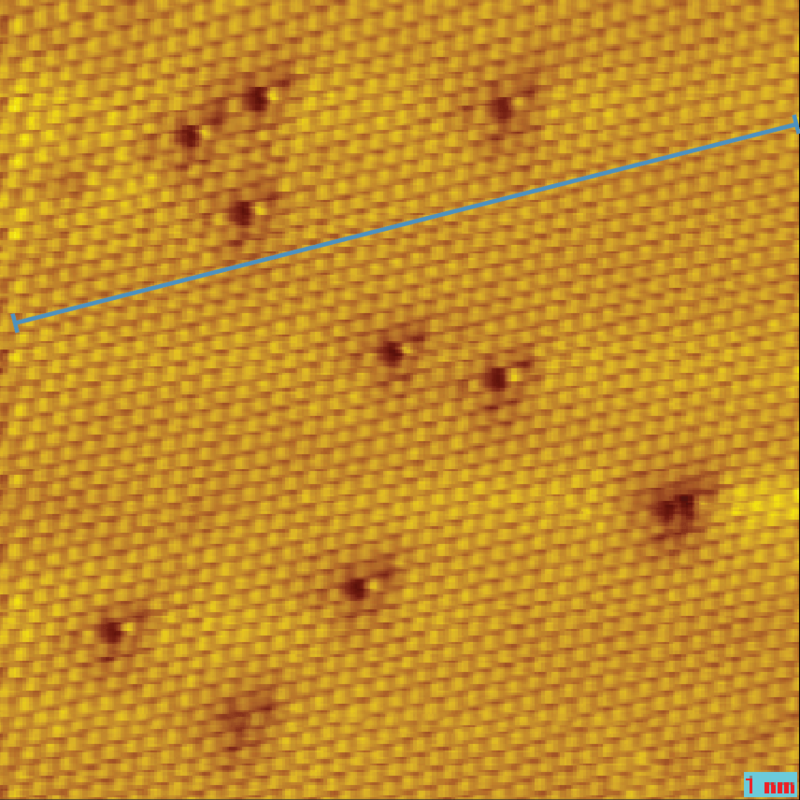 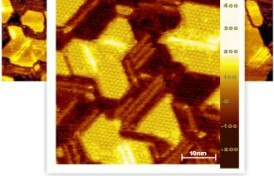 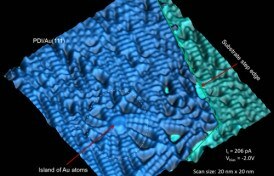 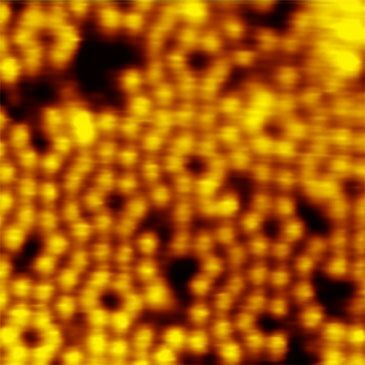 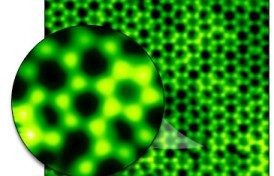 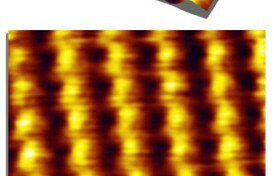 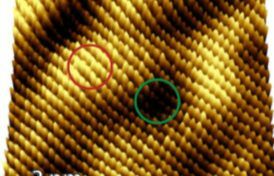 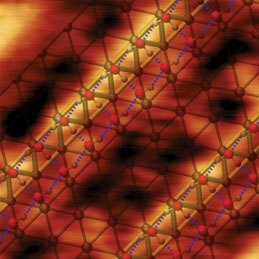 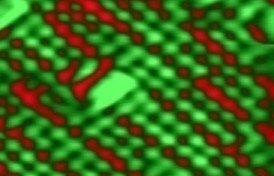 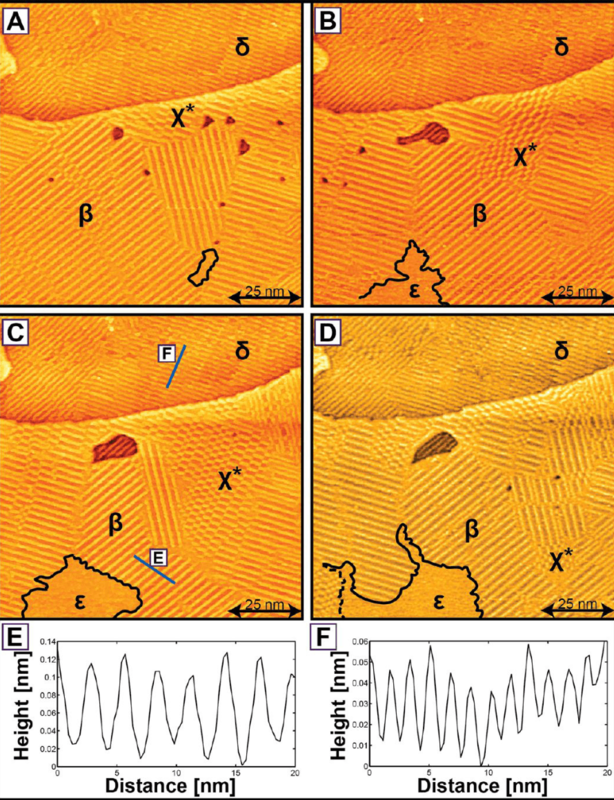 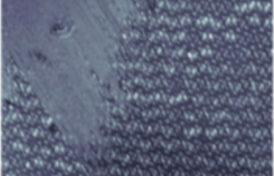 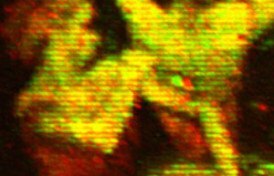 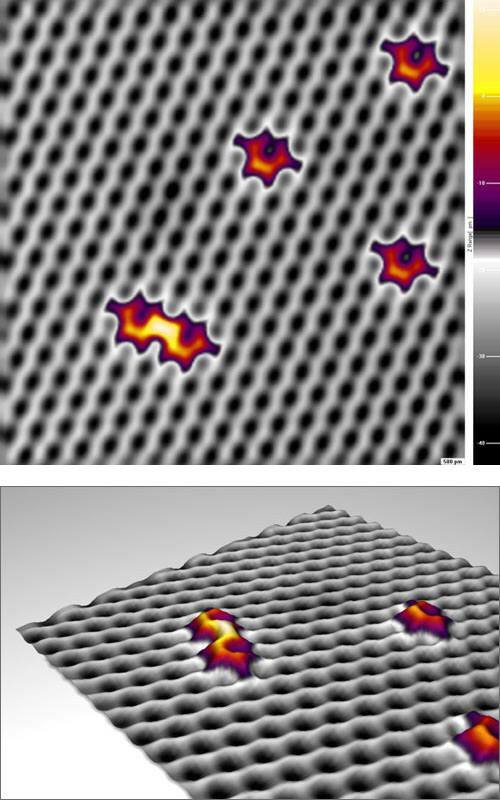 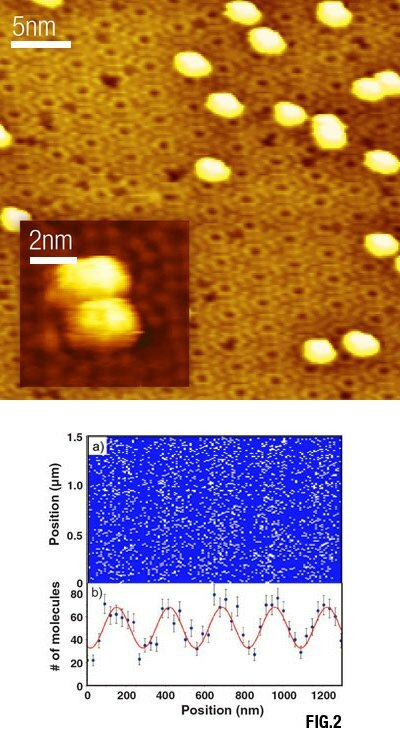 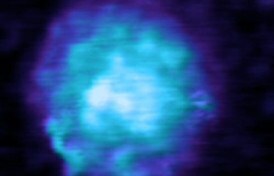 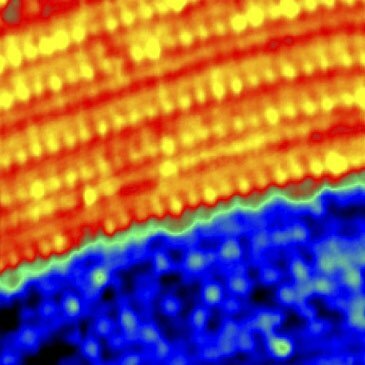 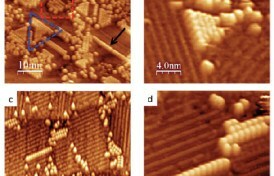 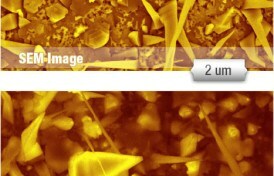 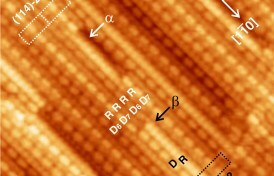 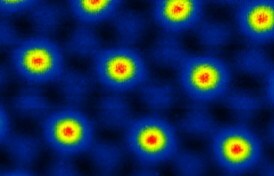 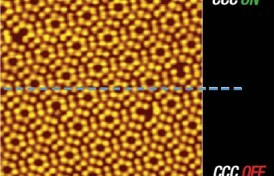 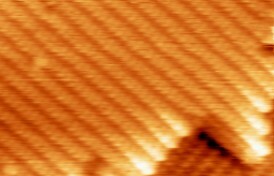 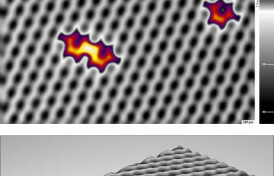 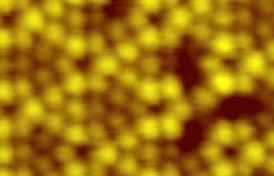 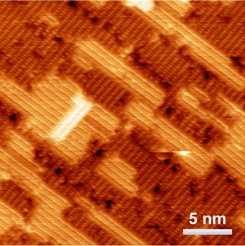 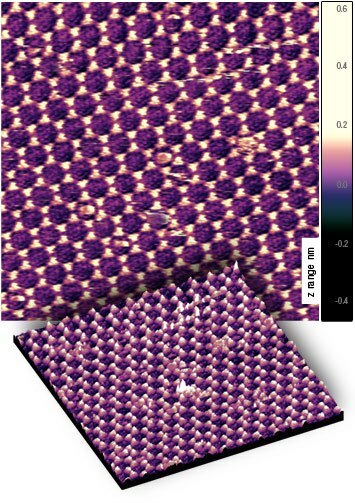 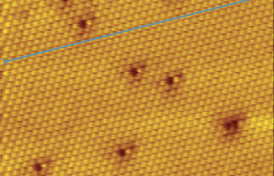 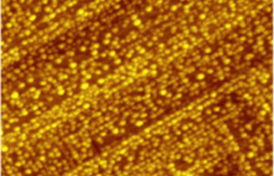 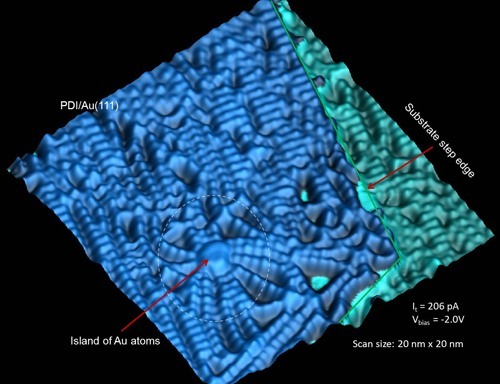 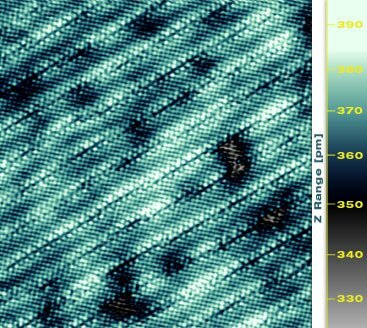 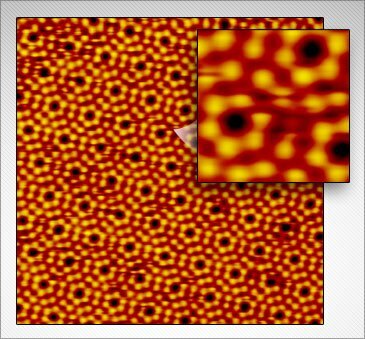 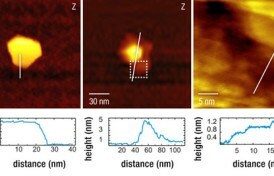 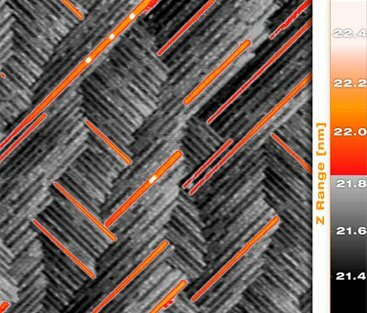 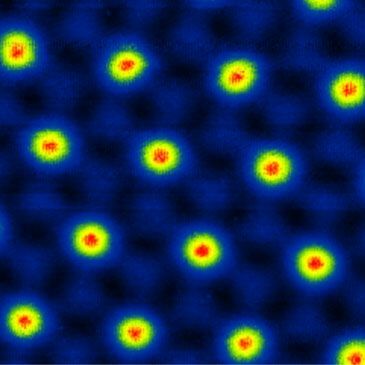 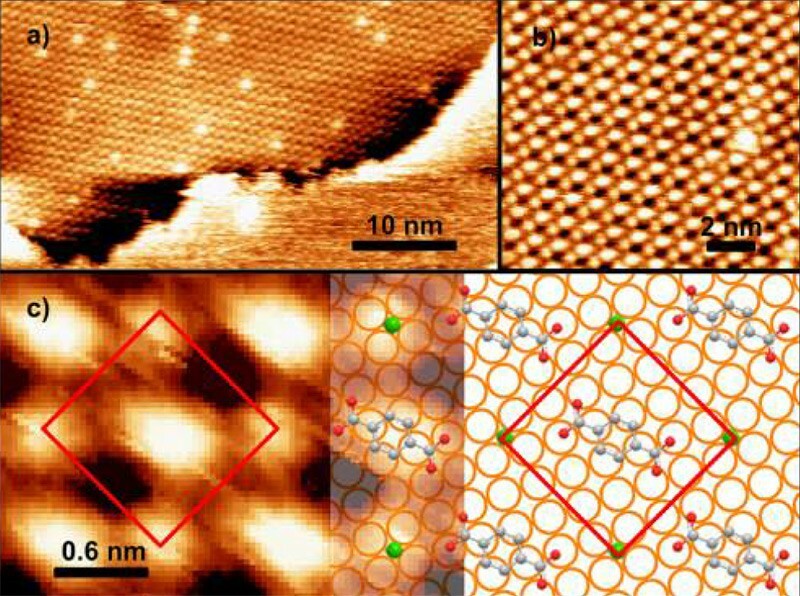 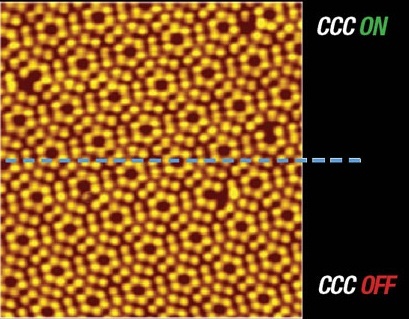 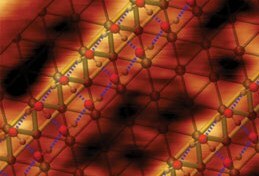 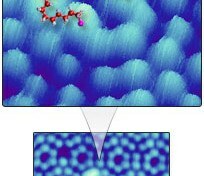 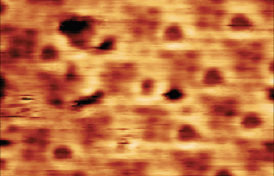 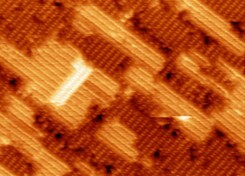 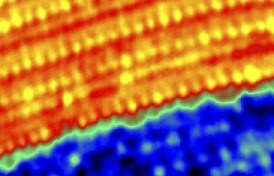 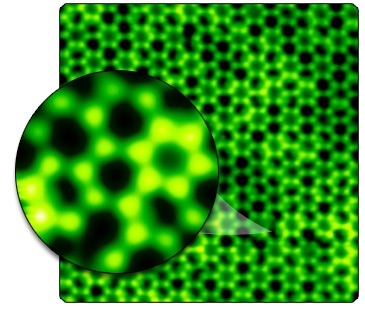 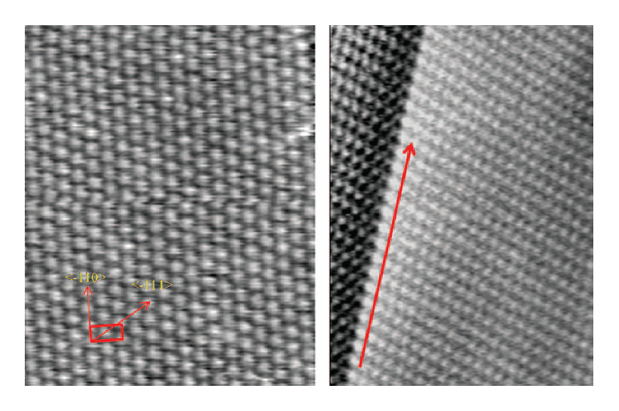 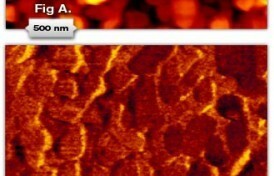 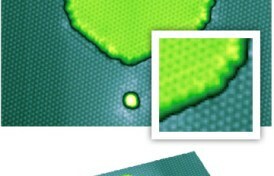 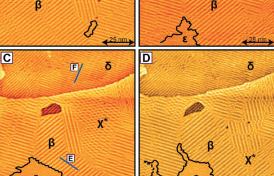 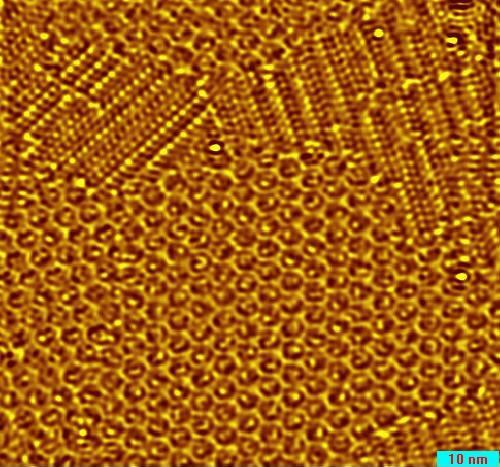 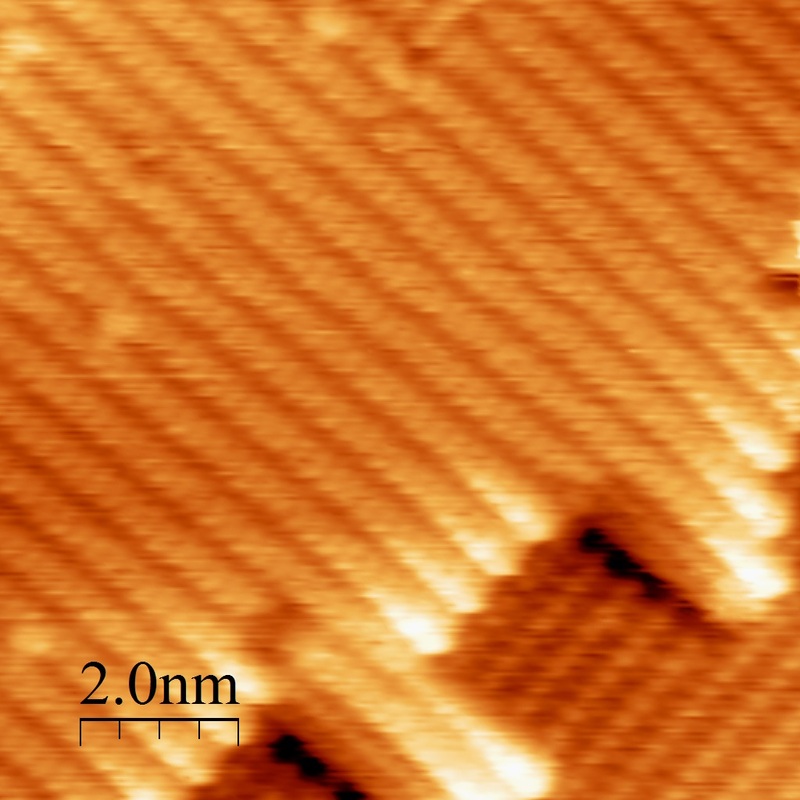 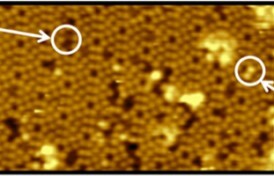 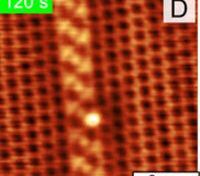 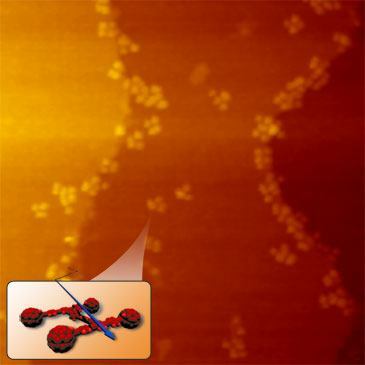 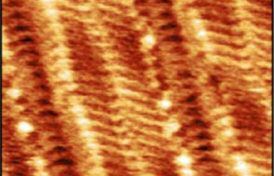 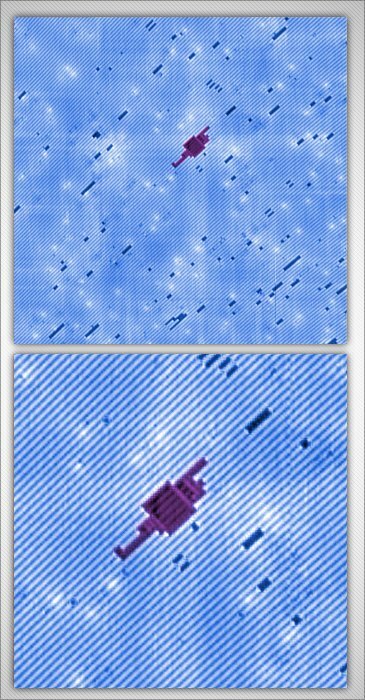 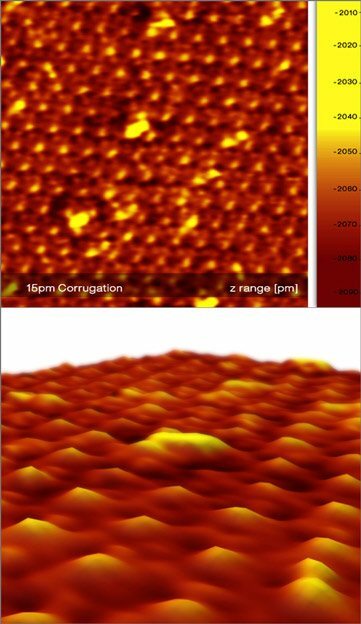 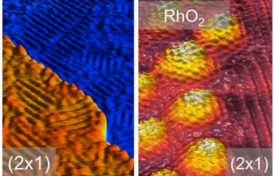 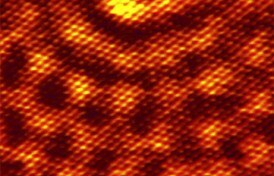 Atomically resolved images reveal two channels for oxidation leading to the formation of dark and bright reaction sites. 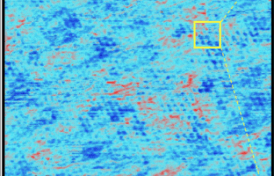 The darks sites dominate the reaction throughout the range of exposures sampled and exhibit almost no preference for occurrence at the corner or inner adatom sites of the reconstructed (7 Å~ 7) unit cell. 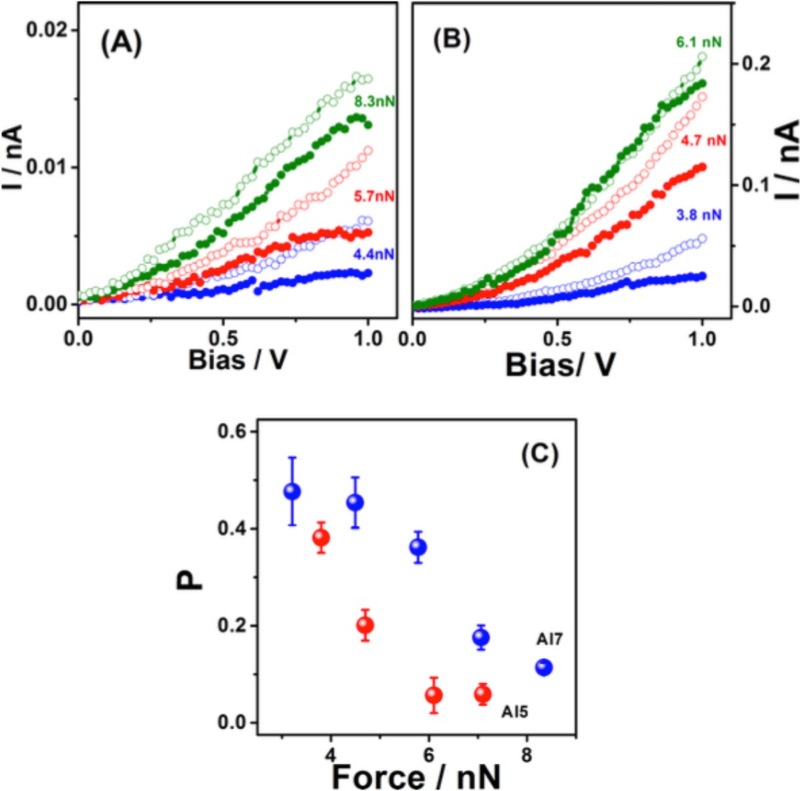 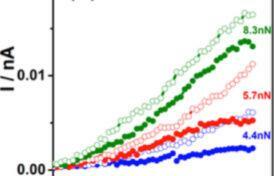 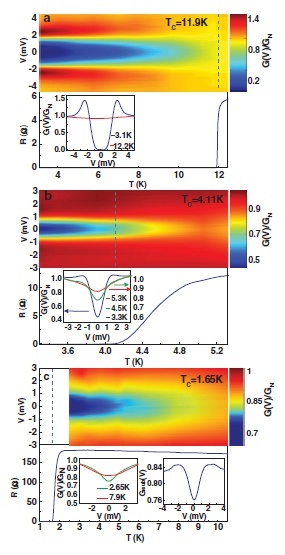 The bright sites show a small preference for corner vs. inner site reactivity on the reconstructed (7 Å~ 7) unit cell. 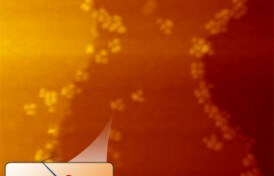 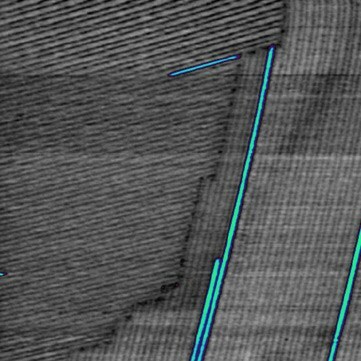 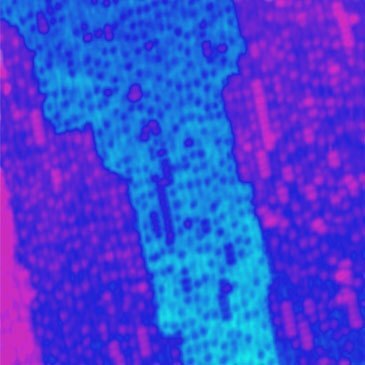 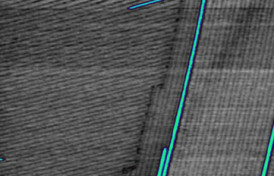 The bright site corner preference seen here at elevated kinetic energies and with selected incident kinematics is smaller than that typically observed for more conventional thermal (background dosed) oxidation processing. 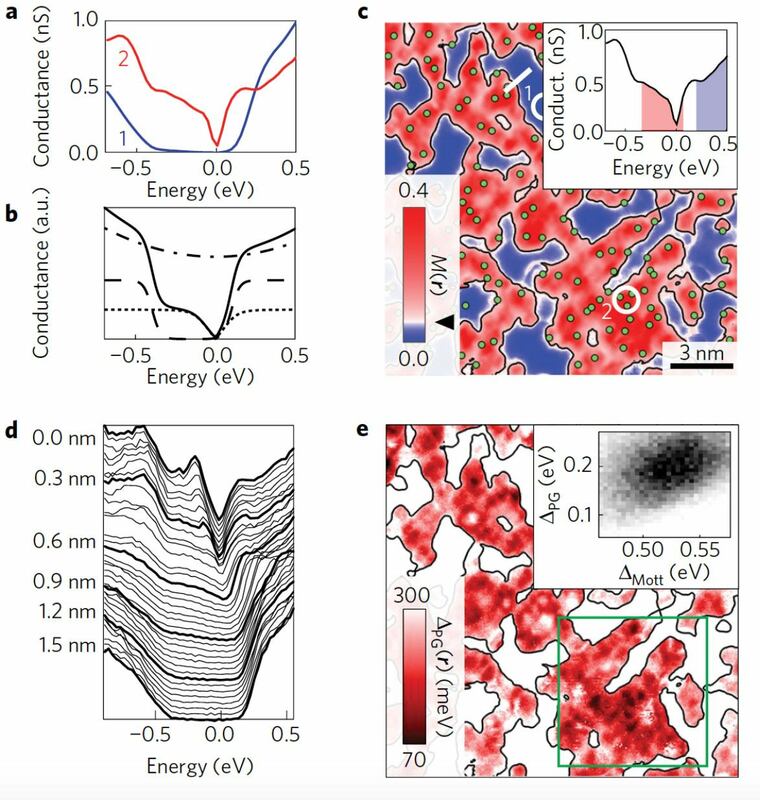 These observations suggest that two adsorption pathways, trapping-mediated chemisorption and direct chemisorption, occur simultaneously when using energetic molecular oxygen but with modified relative probability as compared with thermal dosing. 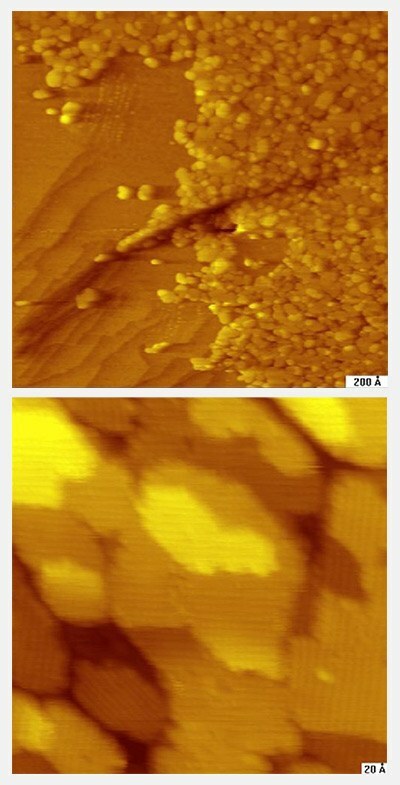 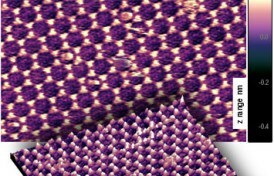 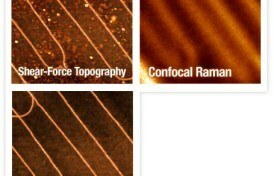 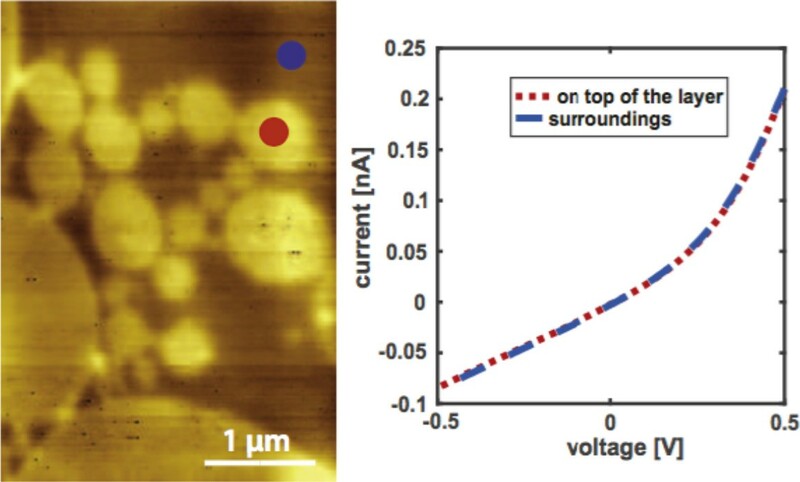 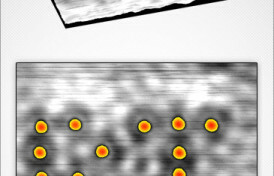 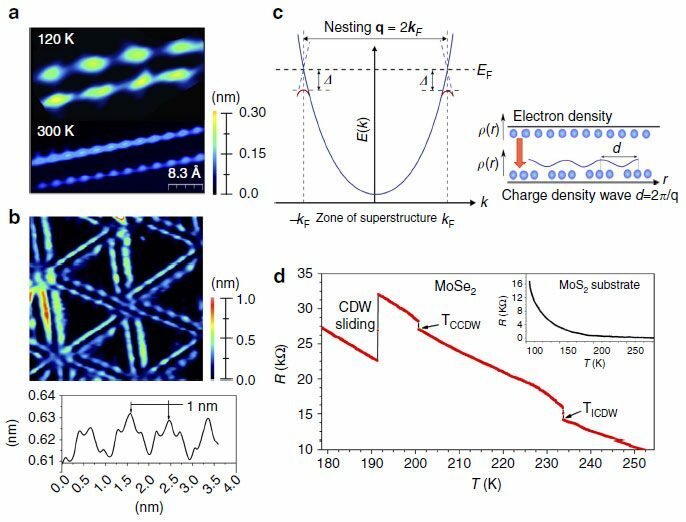 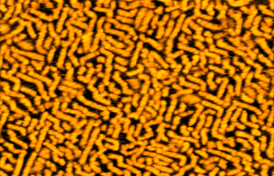 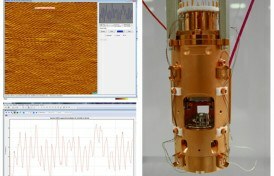 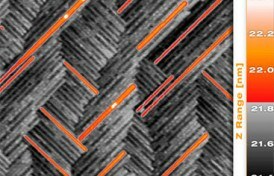 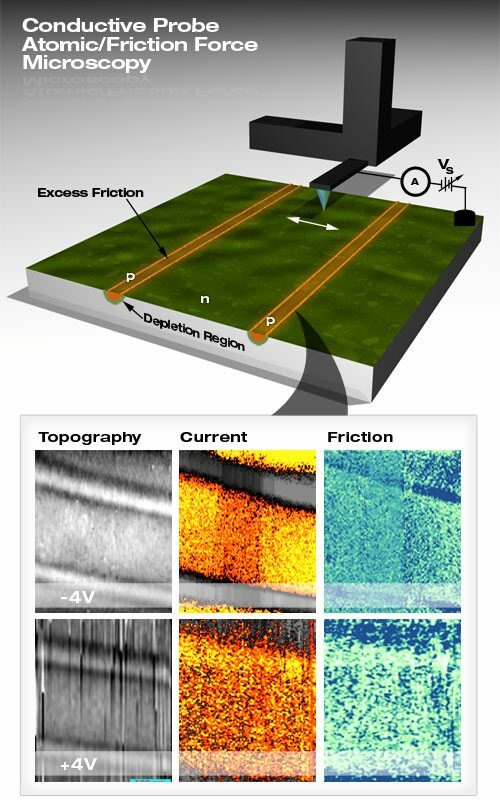 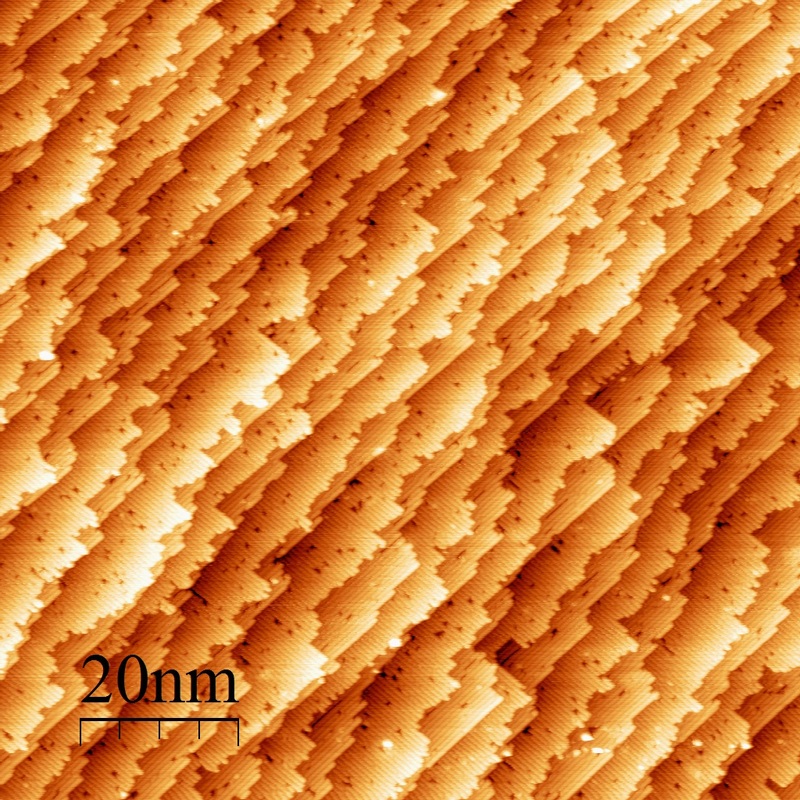 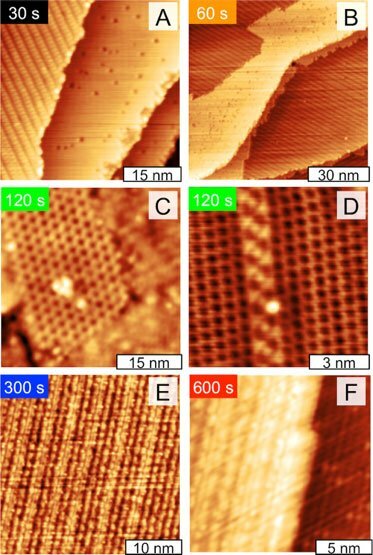 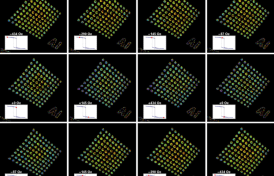 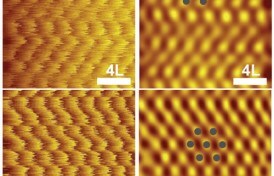 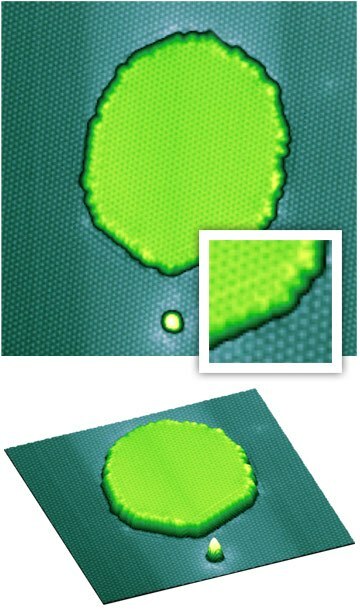 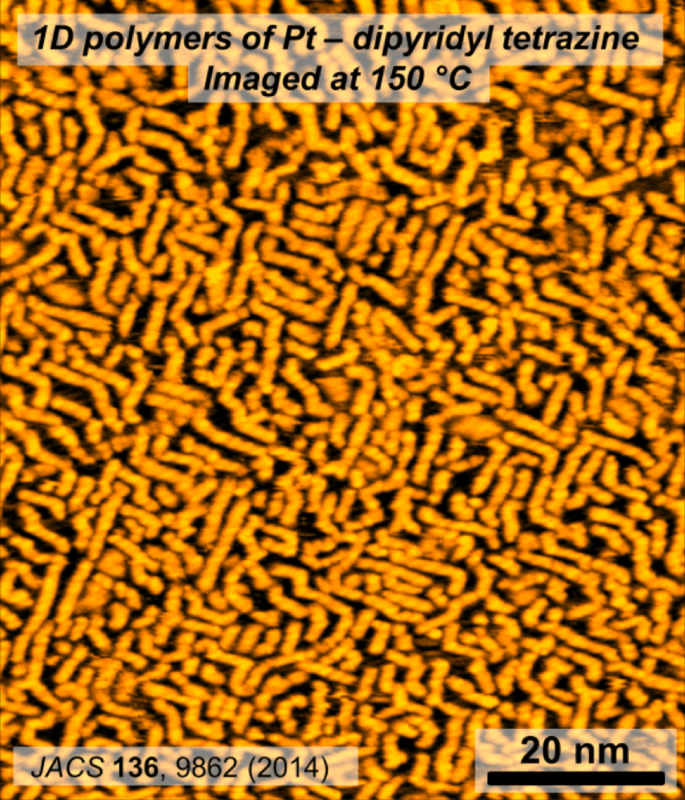 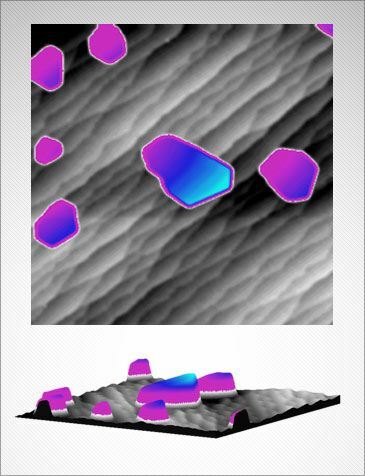 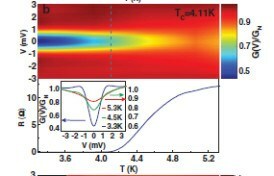 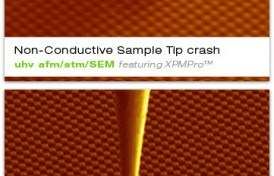 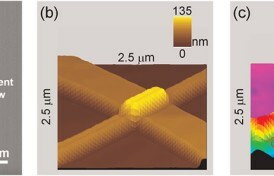 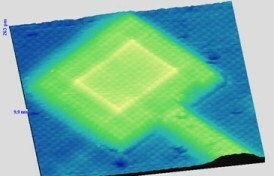 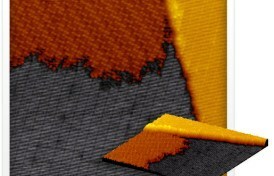 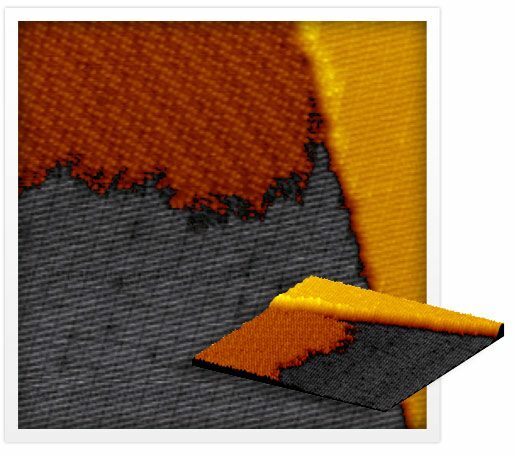 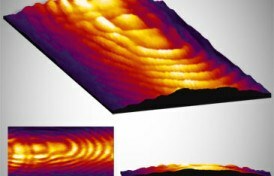 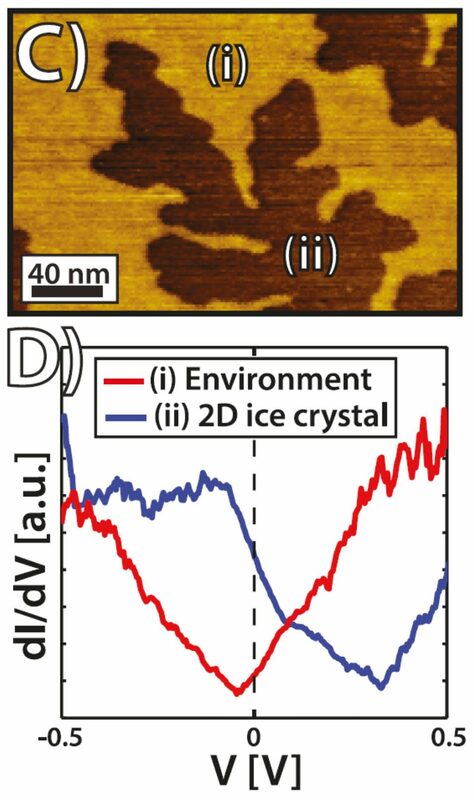 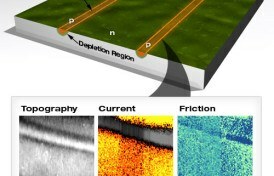 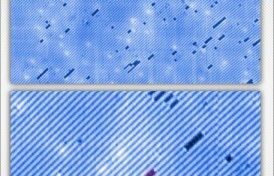 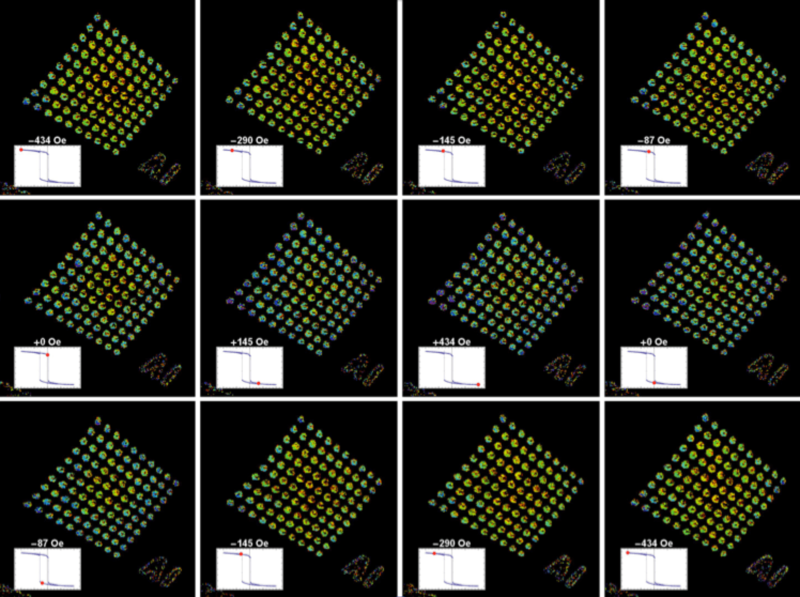 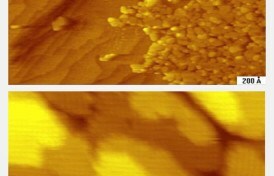 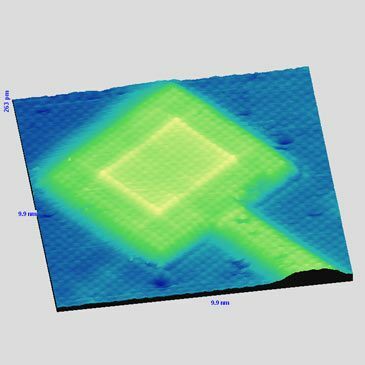 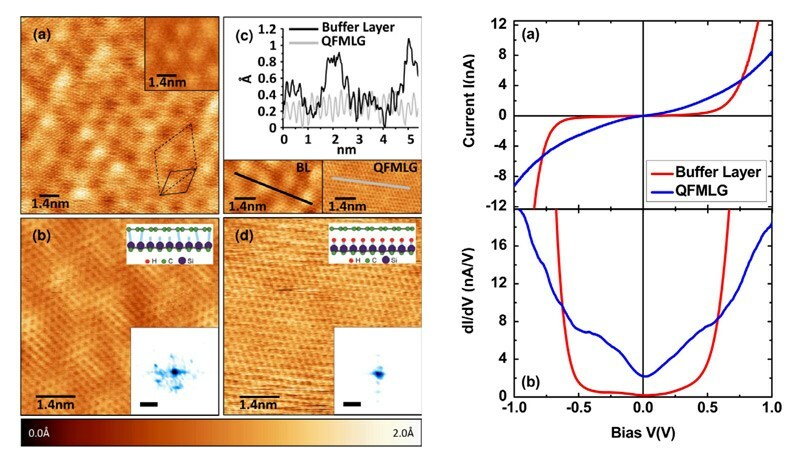 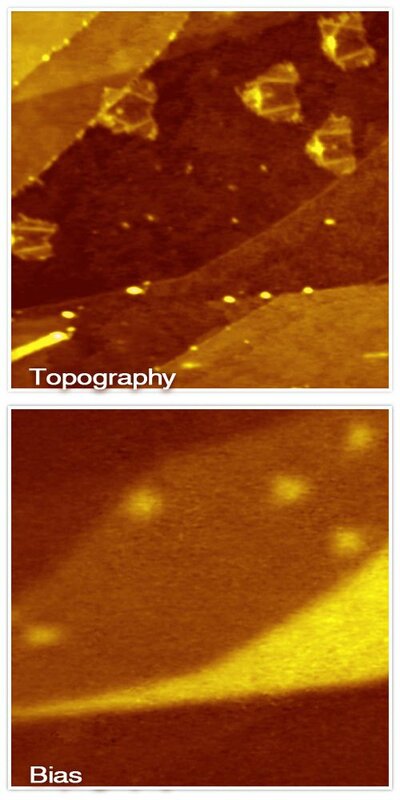 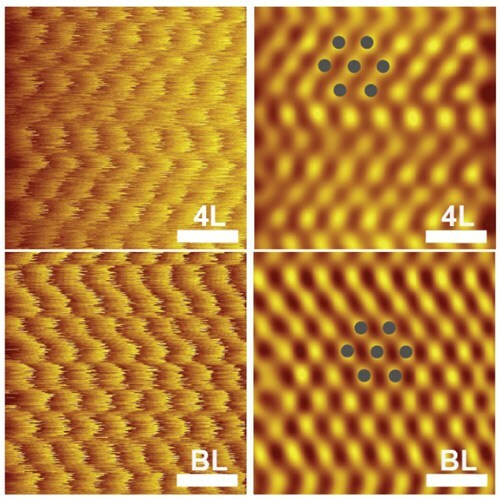 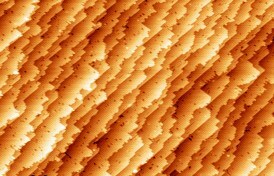 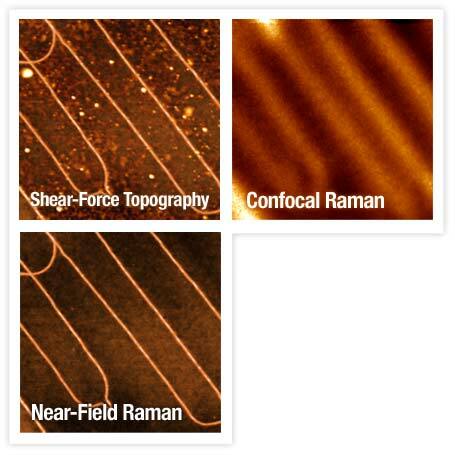 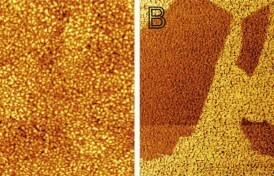 These results demonstrate the efficacy of using angle- and energy-selected supersonic molecular beams to gain a topographical diagram of the accessible reactive potential surface energy and precise control of semiconductor oxidation, a process that is of growing importance as we seek to create high-quality and precisely defined oxides having atomic dimensions. 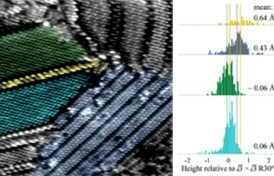 Images and data graciously provided by Steve Sibener, University of Chicago, Chicago, Illinois.